When searching for a new home, a swimming pool can be seen as a bonus or a curse. Should you buy a house with a pool? If the house of your choosing doesn’t have a pool, should you build one? The answer depends entirely on the individual and whether you believe a pool adds value. Forget numbers and calculations. If you believe having a swimming pool adds value to your life, that’s where you should start. There are definitely advantages and disadvantages to buying a home with a pool. When living in a climate where the weather is normally warm, a pool can be appealing and is fairly commonplace. Most of your neighbors will have one, and it’s a great source of entertainment at social gatherings with kids, families and friends. The flip side, of course, is the maintenance of taking care of a pool and the expense. Homeowners can choose to clean and care for the pool themselves, or farm it out to a pool service company, which can be costly. One last thing to consider is safety. Is the pool fenced? Will you need to install a fence for young children? This also can be an added expense. If you are considering building a pool, the No. 1 question that arises is “will it add value? The answer is: yes. Well, slightly 4% to 6%. The value add is in the eyes of the homeowner. If you enjoy swimming, if you like to entertain, if you have kids, then yes, great memories will be made and that adds value. 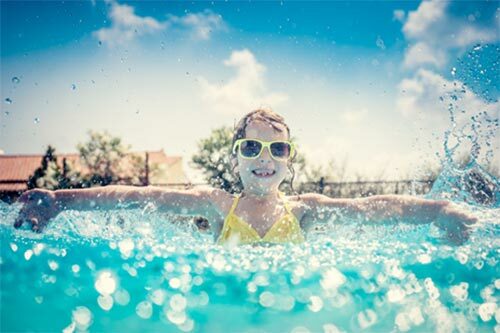 If you live in warmer climates, having a pool is common; In colder climates – not so much. If you don’t foresee using it regularly, than no, the ROI is not worth the initial investment. Bottom line, home buyers should always consider the financial costs associated with owning a swimming pool and determine whether it will add value to your life.